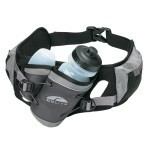 I paid a visit to Runner’s World and found their Trail Running – Water to Go article where they offered up the best picks in the three varieties of hydration sources: packs, belts, and handhelds. I think the belt is the way to go and will probably be useful in long road runs as I up my mileage toward the half and full marathons. 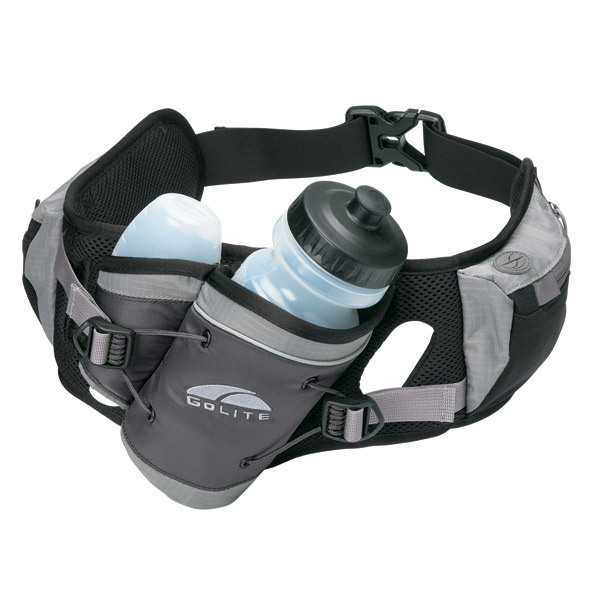 GoLite’s offer, the HydroSprint Bottlebelt ($40) offers a 20 oz BPA-free bottle along with an upside-down mounted 5 oz “flask” for gels. The belt has designs for both men and women to allow for proper fitment and they say it will keep from bouncing as you run. Once I find a trail and a guide, I’ll be buying one of these belts and giving it a shot.